(Francisco Kjolseth | The Salt Lake Tribune) Long time runner Rick Ortenburger of Draper, pictured alongside his wife Elfi plans to run the Salt Lake Marathon 10k on Saturday just before his 9th infusion of immunotherapy after being diagnosed with melanoma and receiving a skin graft in July. He and his wife are part of a group that raises money for cancer research, specifically for the Hunstman Cancer Center, both competing in various events throughout the year, but this year is special as Rick puts on his running shoes once again following this challenging period in his life. In late June of last year, Rick Ortenburger sat in the same chair getting his haircut as he’d been doing for the previous 10 years. On that Monday, however, his longtime hairstylist noticed something different about an age spot on his face. The hairstylist mentioned it to him, and within two hours, Ortenburger was seeing a dermatologist. The doctor told him it appeared his age spot had been scraped, but they’d take a sample just to be certain there was nothing more seriously wrong. Ortengurger, 70, and his wife, Elfi, 66, were scheduled to fly to Germany that weekend. But on Friday, June 29, his doctor called and said getting on an airplane would be hazardous to his health. The reason: Ortenburger had melanoma, a form of skin cancer, which had spread to one of his lymph nodes. Melanoma accounts for only about 1% of all skin cancers, but it causes the vast majority of skin cancer deaths, according to the American Cancer Society. Had Ortenburger’s stylist not noticed the change in his face, there’s no telling when, if ever, someone would have spotted the cancer. “I owe her my life,” Ortenburber told The Salt Lake Tribune. 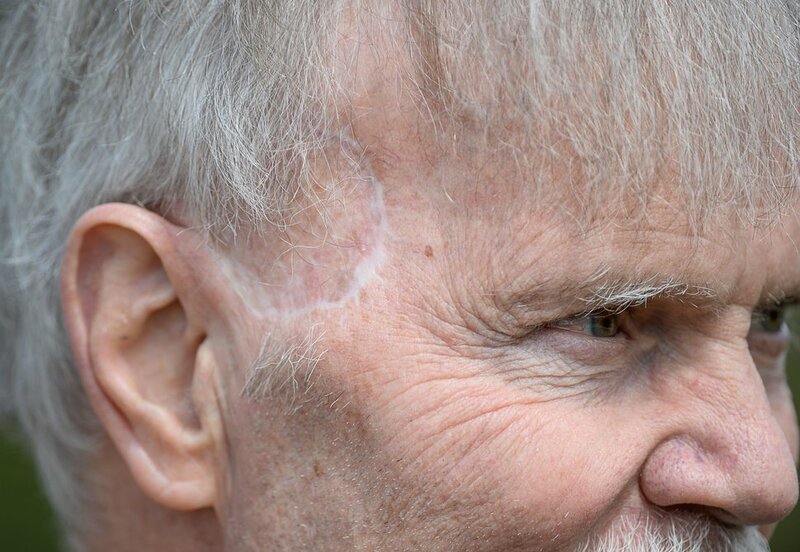 The melanoma has not spread to his distant organs, Ortenburger said. That means the prognosis is good, and the timing couldn’t have been better. A runner for 40 years and a frequent participant in marathons and half-marathons, Ortenburger will race in the 10K race Saturday at the Salt Lake City Marathon. The marathon starts at 7 a.m. at Olympic Legacy Bridge and finishes at the Public Safety Building at 475 S. 300 E. This year, the number of participants will be about 7,000. To this point, Ortenburger has received eight of 12 monthly infusions of an immunotherapy drug and had three surgeries. He started walking again in mid-August of last year, and once a skin graft took and healed, he started running. He signed up for the 10K event in early October because he at least wanted to try. (Francisco Kjolseth | The Salt Lake Tribune) Long time runner Rick Ortenburger of Draper, plans to run the Salt Lake Marathon 10k on Saturday just before his 9th infusion of immunotherapy after being diagnosed with melanoma and receiving a skin graft in July. He and his wife are part of a group that raises money for cancer research, specifically for the Hunstman Cancer Center, both competing in various events throughout the year, but this year is special as Rick puts on his running shoes once again following this challenging period in his life. Ortenburger’s return to running has special meaning for him and his wife. 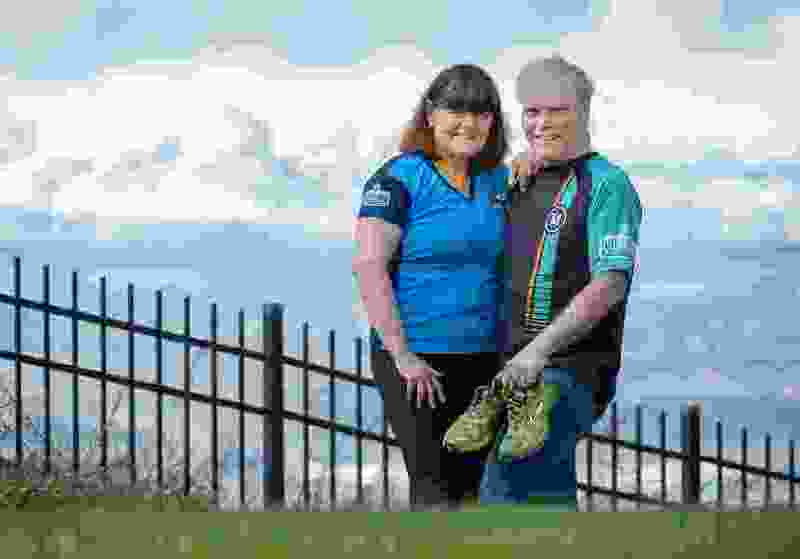 The couple are both involved with the Huntsman Heroes, which is a group of runners, bikers and hikers who hold events to raise money for research at the Huntsman Cancer Center, where Ortenburger receives his treatment. Elfi Ortenburger is a running coach for the group, and also one if its co-founders. She said she got involved because she was looking for something to do after retiring. Since its founding in 2014, the group has raised $6 million through various events, including the Salt Lake City Marathon. Elfi Ortenburger said she and her husband never thought they’d have to face a cancer diagnosis, noting that "you always think it happens to other people. '’ But it happened to them and they are rolling with it. Elfi Ortenburger is impressed that her husband is participating in a race event at all. Elfi Ortenburger said this year’s marathon was extra special to her because through her husband’s treatment, she has seen firsthand what all the fundraising efforts produce. The research gave her husband a better chance to live and a better quality of life, she said. “Because of that, my husband is still running, he has a great attitude,” Elfi Ortenburger said. Ortenburger has not thought about whether he will advance to running longer distances in the future. But in the back of his mind, he knows he’d like to run another half-marathon, he said. He has noticed recently that his running feels different — probably because of the treatment, he said — but he still feels good enough to run and support a cause near and dear to his life. “I’m one lucky guy,” Ortenburger said.